Ships today if you order in the next 14 hours 59 minutes. Cranberries have been linked to the prevention of urinary tract infections for some time. The main reason for this connection is that the fruit contains special phytochemicals called proanthocyanidins that have anti-adhesive properties. This means that bacteria has a hard time sticking to and multiplying in the urinary tract. These proanthocyanidins are unique to the cranberry. 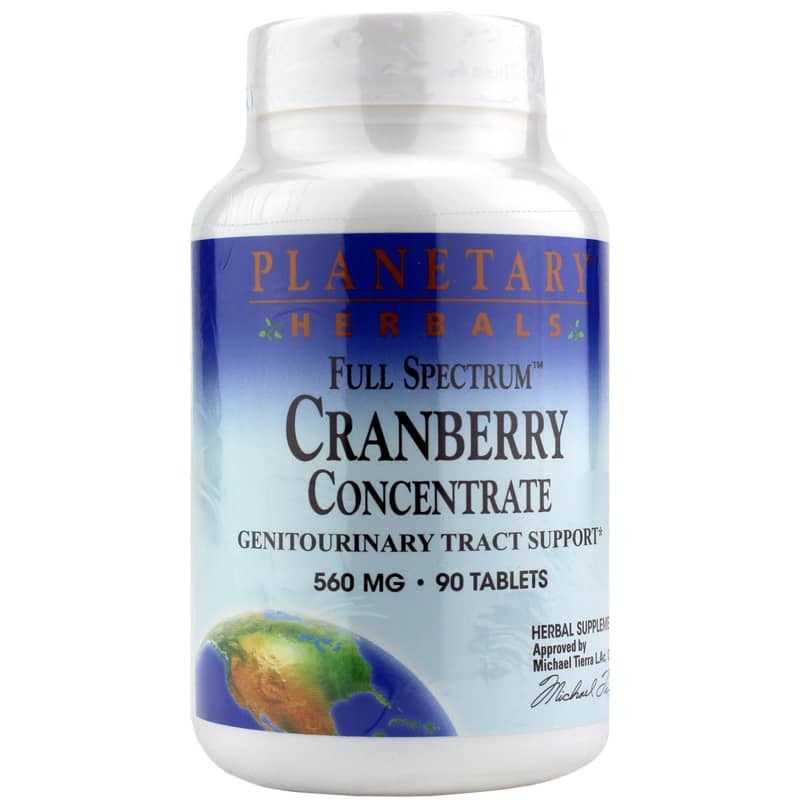 Planetary Herbals offers a natural supplement called Full Spectrum Cranberry Concentrate that provides genitourinary tract support. Each 560mg tablet is equivalent to drinking eight ounces of cranberry juice. Suggested use is to take one to two tablets daily. For best results, drink plenty of pure water. If you're looking for a natural cranberry supplement that provides genitourinary tract support, check into Planetary Herbals' Full Spectrum Cranberry Concentrate. Order online today! Adults: 1-2 tablets daily. For best results, drink plenty of pure water. If you are pregnant, may become pregnant, or are breastfeeding, consult your healthcare professional before using this product. Do not use if either tamper-evident seal is broken or missing. Keep out of the reach of children. Store in a cool, dry place.